I have some nice news for my readers from Berlin or people who might go to Berlin soon. 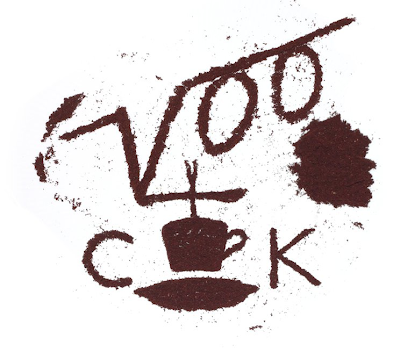 This Saturday Voo Store will celebrate the opening of Cafe CK's espresso bar where you'll get truly tasty coffee made of Berlin roasted Arabica beans of the highest quality with fresh, regional milk. In addition they'll also serve homemade cakes, brownies and cookies. You can also buy fresh roasted whole beans and selected coffee accoutrements for your home. The opening will take place on Saturday, 14th of May from 12-6pm. Location: Voo Store, Oranienstraße 24, Berlin-Kreuzberg.